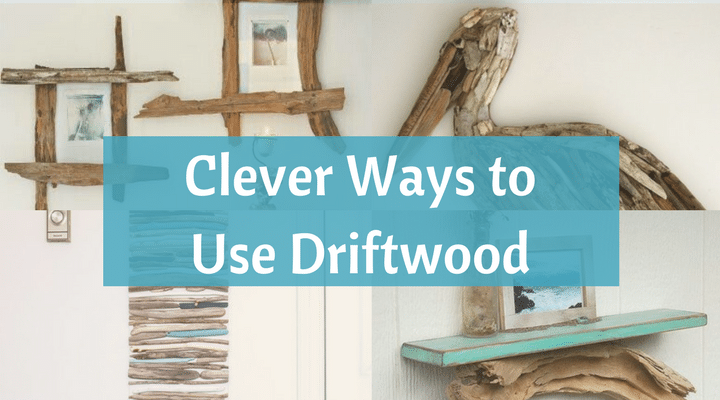 Nature can shape wood into wondrous shapes, and that’s especially true for driftwood. Beachgoers often find branches twisted into remarkable convolutions. 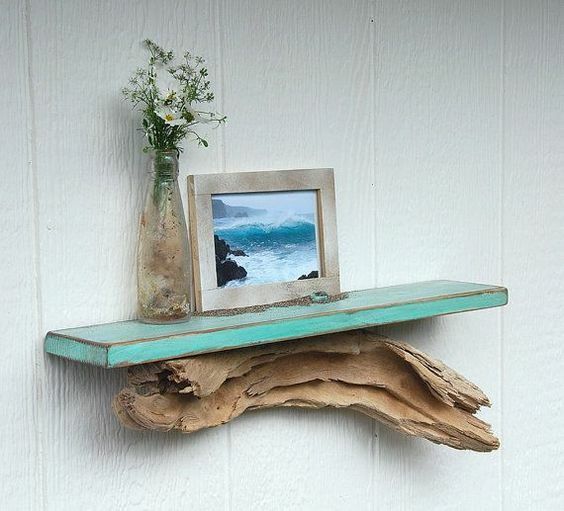 How you use driftwood for your beach home is only limited by your imagination. Remember, you can either create these artistic pieces yourself with a bit of work, or you can browse at flea markets and online to score a good deal. Find an interesting looking piece of driftwood that has great texture and curves. It would make a great eye-catching statement supporting a shelf with a few knickknacks. 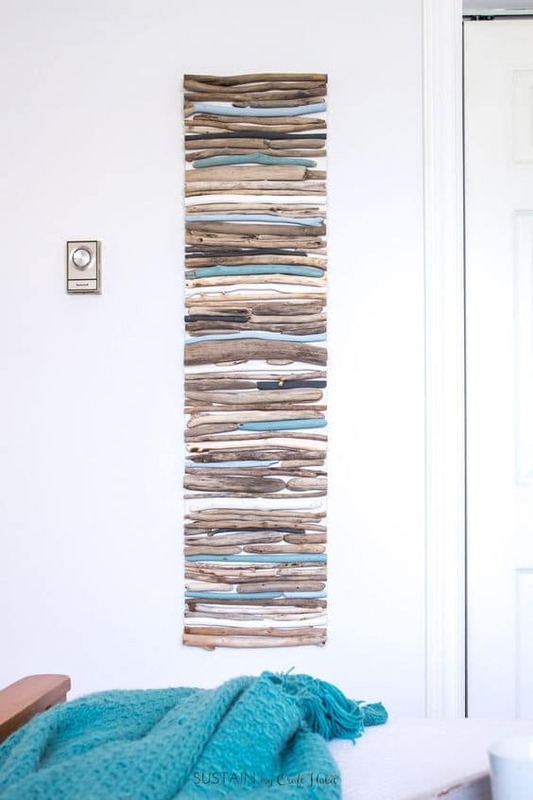 For plain white walls, some driftwood pieces can add color and warmth with their natural tones. 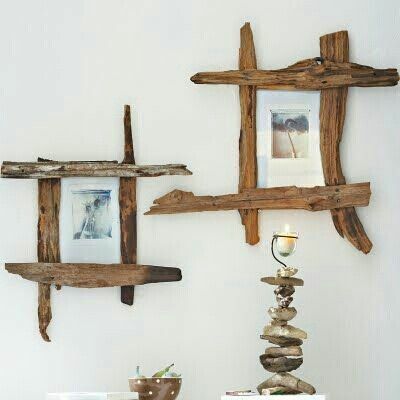 Here, you can see how driftwood planks and bits can form lovely frames for photos and pictures. Try making the stylish driftwood candle holder yourself. Driftwood comes in all shapes and sizes. If you want to add color to your plain walls, make a large display such as this one by nailing together branches of different colors and saw the edges into a straight line. 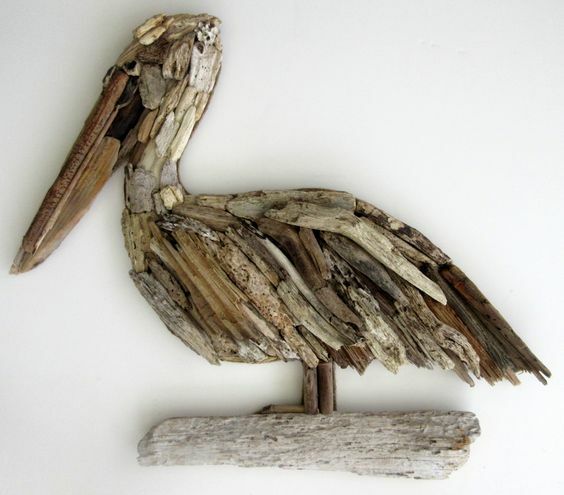 You can get animal-shaped pieces such as this pelican from craftsmen who work with driftwood. The use of natural materials with different textures and patterns results in a unique and interesting appearance. 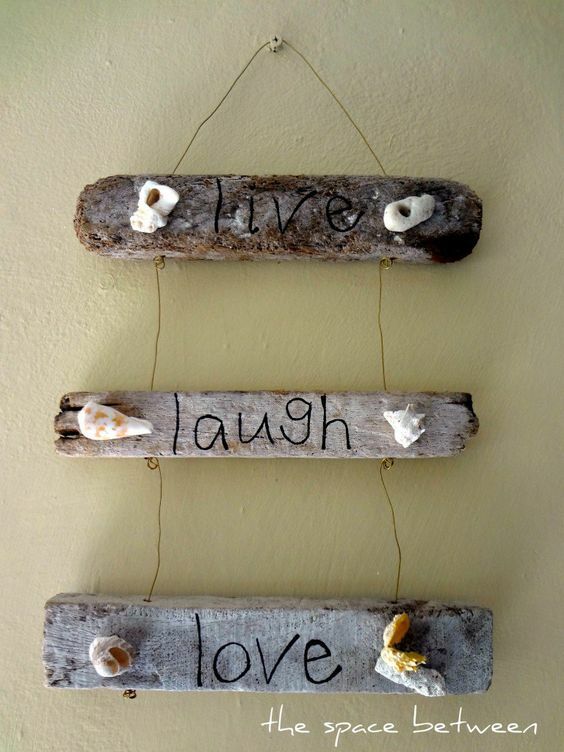 Hang some life affirming quotes etched on driftwood planks from your bedroom wall. Attach bits of coral or sea shells to get a seaside theme. Always remember – “Live. Laugh. Love”! 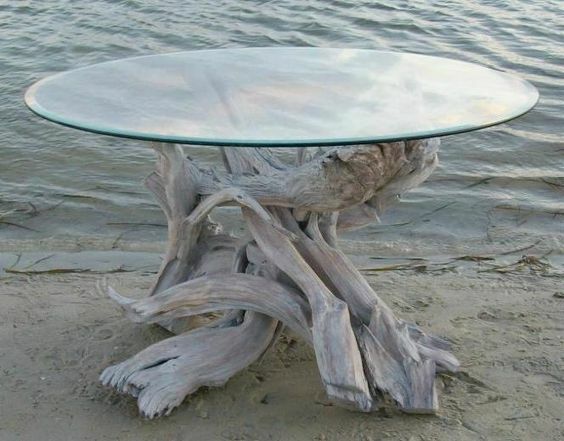 You can get a stylish and functional glass-topped table with a funky and twisted piece for driftwood for the base. For more stability, nail together several branches. 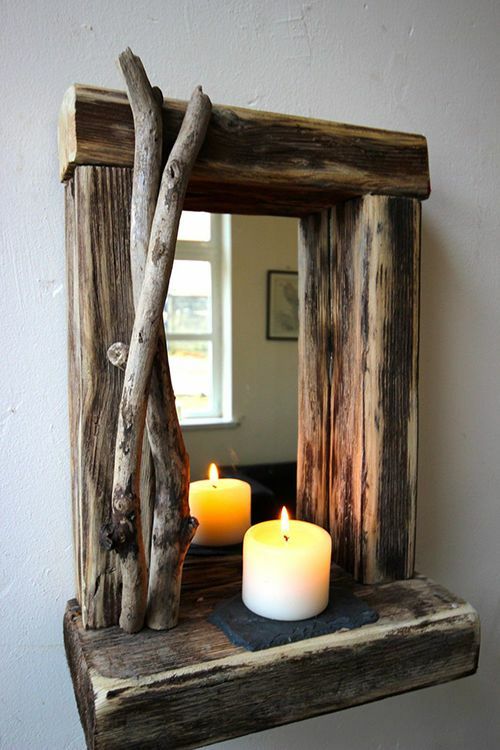 Roughly smoothed driftwood logs make for a great mirror frame. The distressed wood look gives a rustic and homely feel to any room. Add white candles or porcelain for contrast. 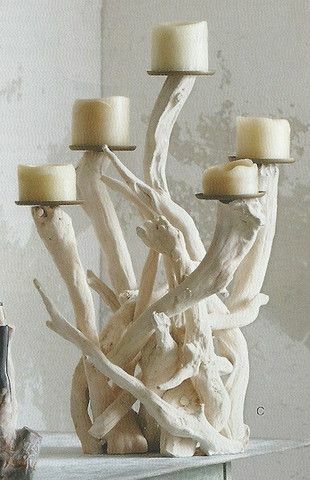 These bleached white driftwood branches come together to form a distinctive candelabra, both retaining the natural look of the wood and giving it function. The natural look and texture of driftwood is best left untouched when utilizing it in your home. Find pieces that accentuate the grain, curves and twisting lines of the branches and incorporate it into the room’s decor. Once you’ve found the design you want, you can either buy some driftwood and make the item yourself, or buy it ready-made from craftsmen. Good luck with decorating!